I wrote Banksy’s shredding of his painting at Sotheby’s was reminiscent of Suicidal Tendencies’ Art of Rebellion album cover in yesterday’s blog post. I also wrote it was a total coincidence I was listening to it on YouTube. I think it was, but it was a suggested video, or their Freedumb album (1999) was first, and AoR followed, so who knows how it works; I don’t! Maybe Banksy works for YouTube, or knows somebody that does? If you think about things like that, the possibilities are endless. I recently read Umberto Eco’s Foucault’s Pendulum (1988), and he makes that point; that there are always connections if you look hard enough; something I showed in my XaW Files: Beyond Humanity. I am now certain XaW is a credible Eco for beginners: a less scholarly, but more entertaining version. We both studied semiotics at university; I did mine on my own, straying from the methodology the department wanted, starved of supervision in my first year. Both books have thin plotlines and are more a writer digging deep into philosophy, psychology and knowledge, for personal learning and sharing. I was bored for much of the over 600 pages of Pendulum, and think most modern casual readers will be; whereas I wrote XaW in small entertaining sections, ideal for the modern social media user with low attentions spans, because that’s what I am; especially because I think I always have had ADHD. Eco (no relation to environment!) passed away a while ago, and was obviously a great writer and academic, so I’m not being ‘competitive’! The greenYgrey didn’t find the greenYgrey world’s Andy Warhol, Andy Wolfhol, on the XaW Files travel quest, but it did find Marcel Duchamp and his Readymades. I realised that the relevant images and photos I’d been rebranding greenygrey/greenYgrey; and then POP (PinkyOrangePurple) were like what Duchamp had done a century earlier, in what some people consider the most important artistic contribution of the century. I named mine readYmades, in line with the greenYgrey rebranding! Jonathan Jones traced Banksy back to Duchamp in an article on MSN today. There is even a link to the Suicidal Tendencies’ Art of Rebellion album cover featuring the Mona Lisa, as Jones cites Duchamp’s drawing on a copy of the Mona Lisa. A fresh coffilosophy thought now wonders if Suicidal Tendencies knew of Duchamp, and they were referencing him by featuring the Mona Lisa. Are they modern dadaists, protesting against elitism and war in their own LA way… the possibilities are endless..! I hadn’t connected the railroad tracks image at the top of the blog post to the Banksy-Duchamp article when I started writing this, but now I realise it’s my latest greenYgrey readYmade. I apologise if this blog post has been too long, and it’s been very male. Gwyneth Paltrow was on the news this morning promoting her Goop brand, and she talked and looked great, and many women are capable of great art and deep thinking, as I’ve tried to strongly promote over the last fifteen years of arduous; sometimes fun; creative writing… and editing, which is never really fun, but is rewarding when improving the spontaneous prose and eliminating errors that would have spoilt it. 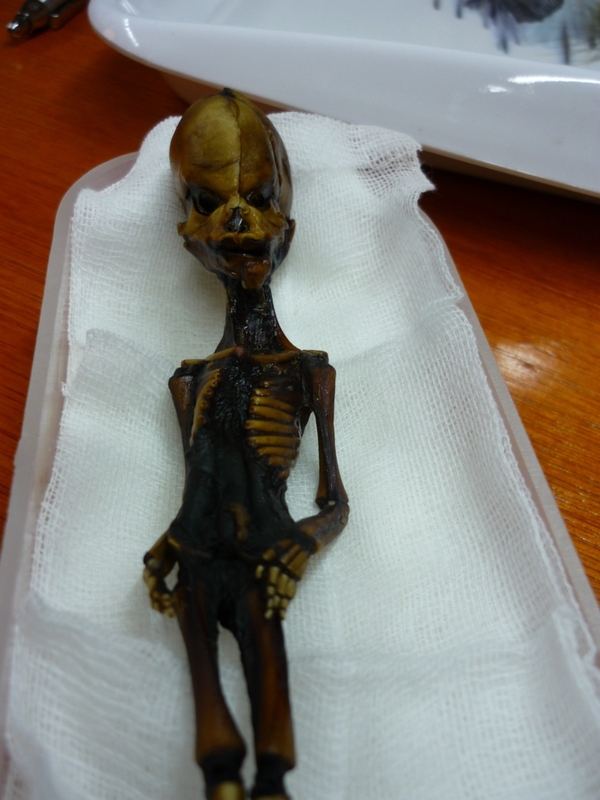 The Independent via MSN reports today that the Atacama body mystery featured in my Valentine’s Day poetry has been solved after research, and it has been proved human. Talking of amazing I noticed a new wrIus blending in the fourth paragraph of the ‘Ata’ article: ‘has been the subject of intense speculation among online alien enthusiasts ever since it was revealed to the world. ‘alien enthusiasts’ just leapt out as the blended alienthusiasts! I’m continuing to keep up with space watching Quest at 9pm on a Saturday night. Now they’ve got repeats of NASA’s Unexplained Files on, which isn’t as up-to-date or sensational-as-in-amazing as the UFOs Lost Evidence that premiered last year. I’d now seen most of the cases on YouTube, although they provided more explanation, and sometimes seemed to provide adequate proof, such as space junk. 2. ‘noise/music’ heard for nearly an hour on the ‘dark side of the moon’, where/when communication with Earth is lost, by an American Apollo mission. I wondered if Pink Floyd knew before writing Dark Side of the Moon? The last episode’s highlight was ‘alien life’ bugs brought back from the moon by Apollo 12. The programme’s balanced investigation considered NASA’s explanation that it was contaminated before leaving or after returning to the Earth’s ocean. I also recently caught up on the Conspiracy Theory programme Area 51 investigation from 2009-2012 on TruTV. You may find it online, but I don’t know about the legality. Corroborating the ‘Ata’ is human findings, it found that the weird sightings in the south-west of the USA were human military and space aircraft or holograms (explanation for Phoenix, Arizona massive craft also featured in my Valentine poem). I am still open-minded and agnostic about it all, thinking there must be life out there, but not knowing what it is exactly. I had my ant theory about humanity on Earth a long time ago, and concerning space, I think we could be like fish in the ocean to us, seeing other creatures entering our part of the water: a newish little rock pool in a vast expanse of ancient existence. There’s a lot of people who know a lot more about it than me, including anybody with Discovery Channel and who’s watched all the Ancient Aliens documentaries! 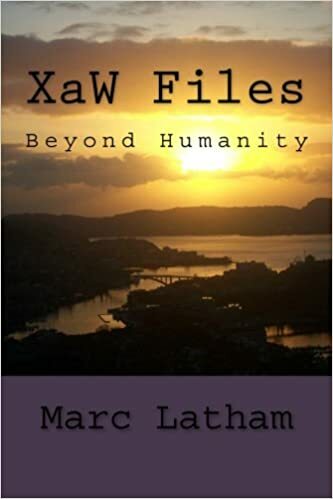 My XaW Files book is a parody comedy, and has nothing much to contribute on the alien space issue, although there is a mysteries theme throughout, mostly focusing on me the writer’s mental process. I became interested in the subject again more from watching new evidence on Quest last year. After careful academic diligent thought, I Dr. Marc Latham, in the style of Sherlock Holmes, have managed to create a paradigm shift in the age after coffilosophy. Through forensic creative writing, for you my dear readers, I have cut two letters out of the term taking its place. I know it is a quick and sudden change, with the new age just a couple of weeks old, but from now on philosophtea/T will be known as philosotea/T, saving you two letters ‘ph’ time. To celebrate, I am actually drinking tea now… although I’ve had three mugs of coffee before! I thought the old term was just replacing the y with a t, and that it needed to be more different. Of course, Y is a special letter in the greenYgrey wor(l)d, so it’s a shame to replace it, but that just goes to show how different things have different meanings and significance in different wor(l)ds; as with colours or names in different human cultures or meanings. So hopefully, from the above you will see that although greenYgreyology is mainly a concept and word I created for comedy purpose, it does have some educational value too, from a real doctor of philosophy; like comedy magicians or musicians who can really do what they use as a prop for their comedy. Another regular comedy phrase I’ve used is that I’m a genius, but not just any kind of genius, I’m a self-proclaimed genius. However, now I’m wondering if I can go on calling myself that, as there is so much evidence now; albeit indirectly. As great greenYgreyliens will know, my work is full of connections, with the greenYgrey a connection, as my Folding Mirror poems connected two halves of poetry with a connecting middle line. My fantasy fiction connected the real world with my created stories. The greenYgreyology world is an exciting place to be today, as new findings and developments in the Icelandic field lead to the new sub-division of Bjorkology, cross-referencing Bjork’s Hollow biology video, which has a lot of gYgPOP (greenYgreyPinkyOrangePurple). The video is referenced as being from 2011, which was of course long before the POP age in the greenYgrey world, proving Bjork had a POP interest before the greenYgrey set off to find our pop art Andy Warhol, Andy Wolfhol. 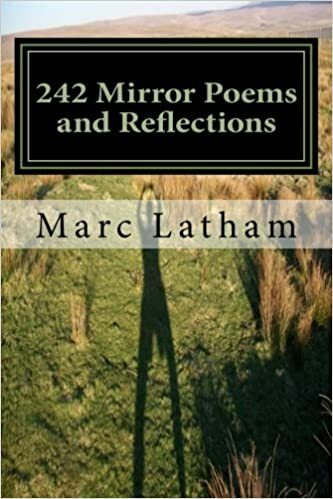 As I recently wrote, and with evidence on this blog and in my 242 Mirror Poems and Reflections book, I was also learning about the inner workings of our minds, thanks to a zeitgeist (cultural trend) inspired by new scientific developments. I hadn’t seen Bjork’s Wanderlust video before yesterday, and that is dated to 2008, around the same time the greenYgrey world started online. The site started construction and testing in late 2007, but took off at the beginning of 2008. Bjork’s Wanderlust video could be an Icelandic version of it… and Iceland was of course where it ended! In another documentary about Bjork I saw that she doesn’t mind it being pronounced the way I suggested in the last post, and the way I’ve always heard it, but really it is Be-yerk. So it’s quite close to the ‘be jerk’ I wrote was scandalous, only without the j! I hope Bjork and her fans and all Icelanders like this post, and warm to the exciting new age of Bjorkology! Warm weather in Blighty is increasing thirst, so Strongbow’s great greenYgrey advert must be hitting the target now. It includes all the best qualities of the new greenYgrey rebranding, with green and yellow nature in one half, and green and grey in the other. Hi, it’s Harry Silhouetteof-Wolfhowlingonhill, satirical comedy television correspondent at the Greenygrey inspired by Harry Hill. Please remember alcohol legal drinking ages, and drink in moderation. While it’s great to see Marc Latham talking greenygrey here and in his articles, it is always nice to read other people noticing and appreciating greenygrey. Hi, it’s Jack Wolfpac here, with exciting news from the world of greenygrey travel writing.